Gift the mommy and daddy-to-be with this adorable personalized baby hat. 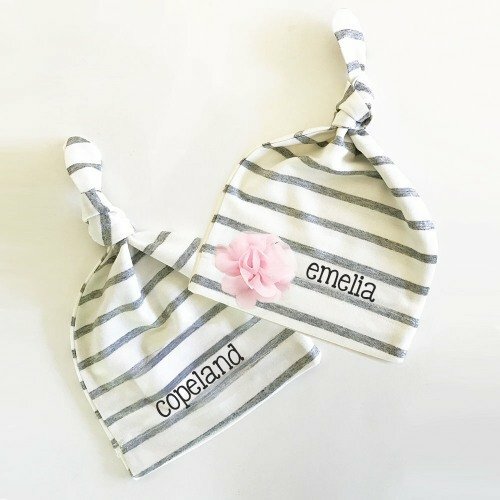 Each hat is made of cotton jersey, features a white and grey striped design, and can be personalized with baby's name. You can even add a pink chiffon flower. Perfect for helping keep baby warm.